Welcome to Pitpass, where you'll will find all you need to know about the world's most exciting sport - and lots, lots more. At Pitpass 'passion' isn't simply a 'buzz word' it is a way of life, for everyone involved is passionate about motorsport and in particular Formula One. Under another name the Pitpass team established itself as one of the finest, most respected, in the business. 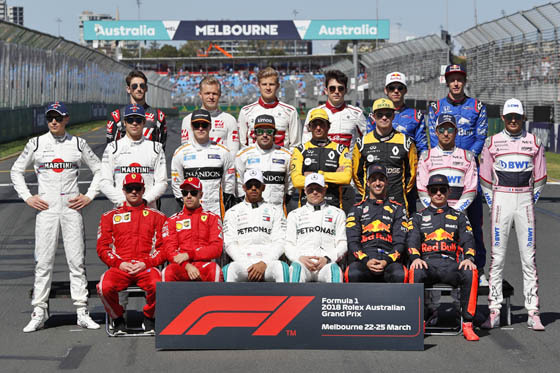 Then in 2002, without the hindrance of people who failed to understand the sport and its fans, Pitpass was founded, the aim being to provide the best independent Formula One website, run entirely by people passionate about the sport. Our 'mission statement' is simple, we aim to bring you the best F1 coverage. We also aim to bring you facts as opposed to gossip and rumour, truth as opposed to spin, objectivity opposed to PR hype. If you have any comments or suggestions as to how we might improve the site, please let us know. That said if you feel we've got it right and that we're keeping our promise, we'd still like to hear from you. This is Formula One so sometimes we may have to (grudgingly) say no to your requests, but you have our word that we will listen to you and try our hardest to give you what you want. Unlike our rivals, Pitpass is not part of a magazine publishing group, sports internet group or TV broadcast company - it is fully independent. Which means that there are no hidden agendas and no need to kowtow to the powers that be. Indeed, it is because of its fiercely independent stance, that Pitpass can genuinely claim that its readership includes many members of the Formula One paddock. They enjoy us not only for our top coverage and features, but also because we remember that F1 is still meant to be fun. Up until now all Formula One fans have craved a Pitpass, now you have one, enjoy!